The series finale of Gravity Falls aired just last week. Recently, series creator Alex Hirsch spoke with TVInsider about the end of the popular Disney XD animated show. Created by Hirsch in 2012, the series chronicled the adventures of twins Dipper and Mabel Pines in the mysterious town of Gravity Falls, Oregon. Kristen Schaal, Jason Ritter, and Linda Cardellini provided voices. 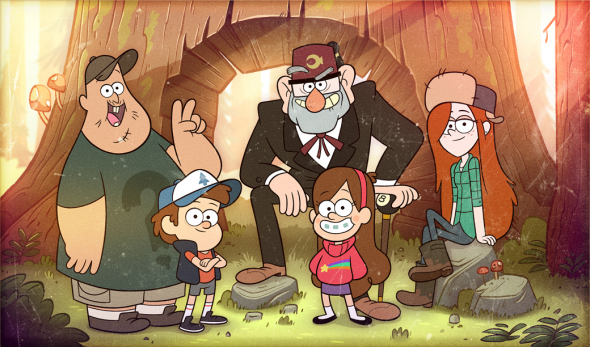 Earlier, we also reported that Hirsch said the characters from Gravity Falls could always return at a later time. What do you think? Are you a Gravity Falls fan? Did you watch the series finale? Was it satisfying? More about: Disney XD TV shows: canceled or renewed?, Gravity Falls, Gravity Falls: canceled or renewed?